Seeing as the link for this one on here has been dead for about 5 years or so, I think it's about time we revisitation. Someone out there must have held on to it for the pristine copy of Purr Snickety, right?! Anyhow, a MEGA or such for this rare one would be muchly appreciated. i thought there was already a thread for this. either way i wouldn't mind a re-up either. i wouldn't imagine this would be allowed on zomb. can someone hook flashpapr up? Two versions of Blew Away?? same with the two hello kitty kats. 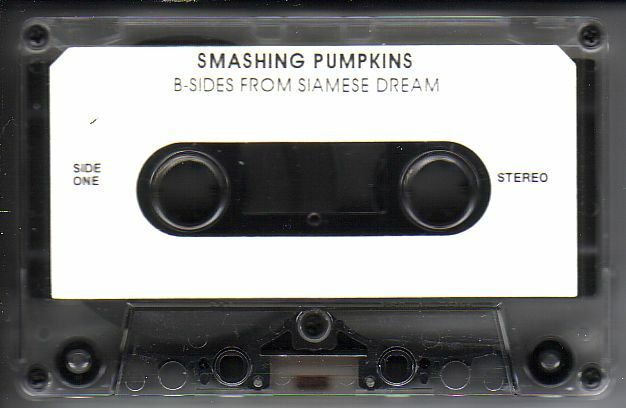 i really wonder what this tape actually is. what was the point of it? could it be fake? if you want a pristine copy of purr snickety, download the lossless version off of "rarities and b-sides". 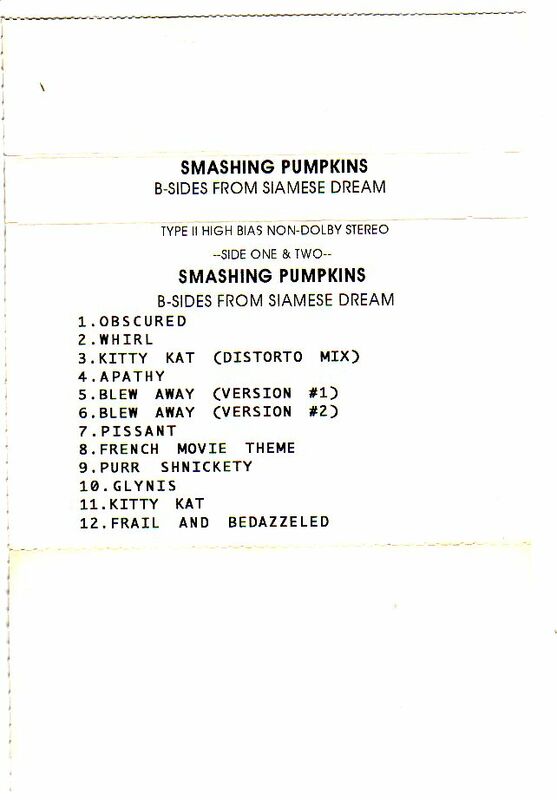 isn't there a pristine version of purr snickety on the PI reissue? If you consider brickwalled and massively compressed pristine, then yeah... can't even listen to that bonus disc there's so much clipping going on. sad but true-aaah! i put the song Blissed in a folder with other same era B-sides, and when it comes on it sounds like 5x louder than the song before it. waaaay too loud. there's a second tape with a similar but shorter tracklist? what does the shorter version of the tape look like? is it up on spfreaks.com?